If you have been thinking about a kitchen and/or bath remodel or addition, now is the time. Data by an HGTV article, Which Home Improvements Pay Off?, states that a minor kitchen remodel (roughly $15,000), returned 92.9 percent of the investment. That’s not a bad gamble with those kind of odds in your favor. Realtors have always suggested putting your money into the kitchen and/or bath for the ultimate return in resale but it appears that has never been more true than it is now. According to a 2018 report, Regional Data for the South Atlantic area, adding or remodeling a kitchen or bath is recouping up to 73.5% of a mid-range investment. To see real numbers, this Costs versus Value Graph gives you mid and upper range investments with the recoupment value. 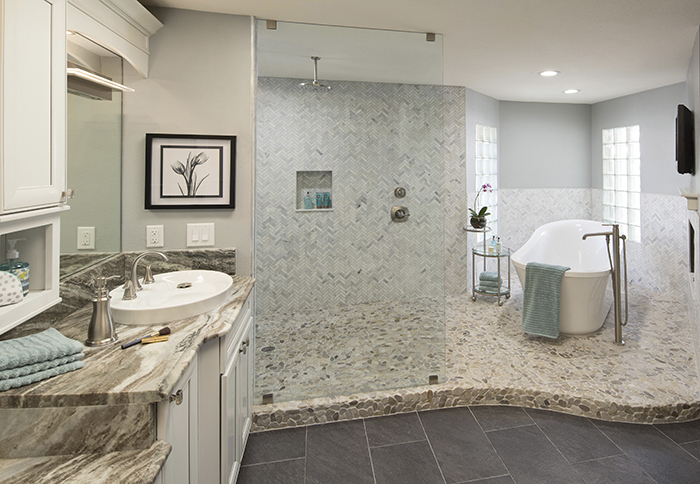 Maybe your budget doesn’t allow for a full-blown addition or upper level remodel but even a modest update can add tremendous value to your home and give you enjoyment of a new and improved space. You may be thinking that a modest remodel is out of your price range but you may be surprised to find out that making just a few changes to your existing kitchen or bath can reap tremendous benefits. It depends on what is important to you. If you are a self-proclaimed home chef, your needs and wants are going to be different than those that don’t cook often. This article by Scott McGillvray, "Where to Save and Where to Spend", gives great advice on how to evaluate priorities to form a plan for a kitchen or bath remodel or renovation.